The growth in anti- wrinkle injections has been overwhelming in the last 20-30 years with more people wanting to look and feel younger. With the growth and popularity of anti-wrinkle treatments in the UK, there are more surgeries, cosmetic clinics and now department stores offering these procedures. It is much easier now to receive these treatments from anyone and everyone disguising as a trained professional. The solution injected to relax the facial muscles is a medical prescription that can only be administered by doctors, nurses, dentists and pharmacists. These medical professionals can then assess the client and the trained professional to deliver the treatment correctly. You can check that the prescription was authorised by a registered medical professional through the General Medial Council (GMC). 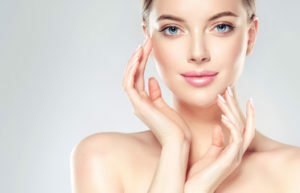 Getting anti-wrinkle injections can be a daunting procedure for many clients. The trained professional delivering the treatment should first get the green light from the registered medical professional to ensure the patient is safe to go ahead with the injection. It is vital that the client visits the prescriber face to face for a consultation to ensure there are no underlying issues that may result in a botched injection, such as pregnancy or allergies. By visiting a highly trained professional when receiving your anti-wrinkle injection, you do not risk a botched end result. The cosmetic clinic or treatment area should be clean and sanitised to prevent infection. If the person delivering the injection is not highly trained or has not done the treatment properly then this could result in impaired vision, breathing difficulties and drooping facial features. To ensure your clinic is well trusted and established then look for reviews on social media from previous clients. Checking the prices of the treatment is also a good indicator on legitimacy. If the treatment looks extra cheap this may mean the solution has been diluted or the person giving you the injection hasn’t been trained or isn’t authorised to go ahead with the treatment. The Berkeley Clinic have been delivering excellence in aesthetic procedures for over 20 years with highly trained, experienced professionals. They were one of the first cosmetic clinics to offer anti-wrinkle treatments in Scotland and now have a reputation of excellent customer care and unbeatable results. This entry was posted on Wednesday, January 16th, 2019 at 1:21 pm	and is filed under Uncategorized. You can follow any responses to this entry through the RSS 2.0 feed. Both comments and pings are currently closed.